The ELITE Pursuit AmFib® Jacket provides warmth and protection on windy rides. It's cut aggressively for comfort while riding with a close-to-body fit. Wear it over a long or short sleeve jersey to add warmth without the bulk. 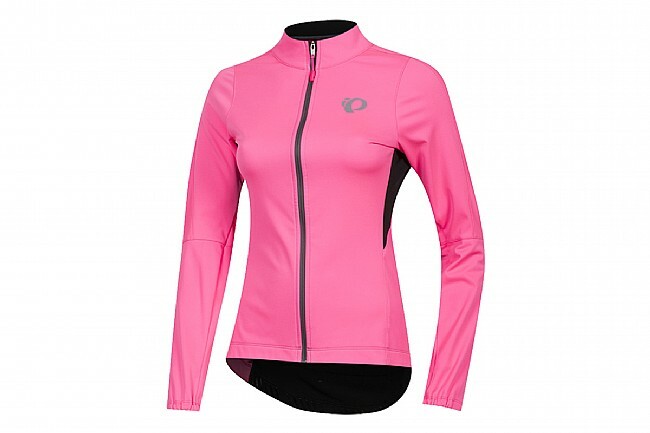 Made of ELITE AMFib softshell fabric and ELITE Thermal panels, this jacket offers both insulation and breathability. Three back pockets with Softshell Lite fabric provide safe, dry storage for nutrition and other riding essentials. With a scalloped waist and wider hip, it stays flat and in place while pedaling. The shoulders and neck feature a lower, slimmer profile and the thermal fabric is soft and cozy against the skin for supreme comfort in harsh conditions. 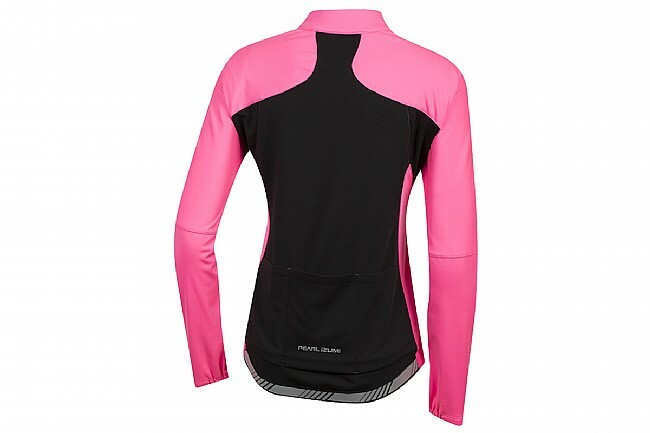 Warm and breathable ELITE stretch AmFIB® softshell fabric. ELITE Thermal panels with DWR coating across the back. 3/4-length internal draft flap seals in warmth. Collar comfortably tapers from front to back. Elastic with silicone gripper at waist holds jacket in position.